This fifth and final installment of the secrete menu series from fast food restaurants covers the popular fast food eatery Taco Bell, plus the restaurants Olive Garden and Red Lobster . For more information on other establishments, take a look at; Part One: Burger King, Chick-Fil-A, Chipotle Mexican Grill, and Dairy Queen. Part Two: Five Guys, In n' Out Burger, and Jack in the Box. Part Three: Jamba Juice, McDonald's, and KFC (Kentucky Fried Chicken). Part Four: Sonic, Starbucks, and Subway. Check-out each list for specific information on exclusive food choices at your favorite fast food establishments. *Disclaimer: Secret menus are subject to change and items may be discontinued. In addition, not all items may be available all the time and some restaurant franchises my not offer any secret menu items at all. The first Taco Bell opened in 1962 in the city of Downey, California, by Glen Bell. He sold tacos and other Mexican themed items and his concept was popular enough to franchise in 1964. Three short years later, in 1967, Taco Bell had grown to over 100 franchised restaurants. The chain became a publicly traded company in 1970 with more than 325 chains and was purchased by the PepsiCo in 1978. Today, Taco Bell remains a crowd-pleasing favorite eatery for Mexican food. The following items may not be on the menu but they are worth asking for. Cheesaritos: This item was once on the regular menu and was removed, but you can still order it at some chains. A tortilla filled with cheese, scallions and taco sauce then rolled-up for you to enjoy. Cheesy Gordita Crunch: A Gordita filled with melted cheese, a taco shell, ground beef, more cheese sauce, shredded lettuce and grated cheese. This is truly a cheesy dish. Chili Cheese Burrito: This is another item that was originally on the menu but removed. It is a regular burrito with chili and extra cheese. Double Grilled Quesadilla: This is an extra crispy, crunchy version of the traditional quesadilla. Enchirito: The Enchirito was a staple on the menu for years and many Taco Bell restaurants will still prepare it for you. It is an enchilada and a burrito combined with beef, beans, cheese, onions and enchilada sauce. Green Sauce: The original green sauce has been revamped and is now known as "Verde" sauce. Spicy Green: You can order anything on the menu with Verde sauce. Just ask for spicy green. The Hulk Bean and Cheese: Would you like a little guacamole added to your bean and cheese burrito? Just ask for the Hulk bean and cheese. The Superman: A super-sized burrito with beef, potatoes, guacamole and sour cream. It can also be super messy so be sure to get lots of napkins. 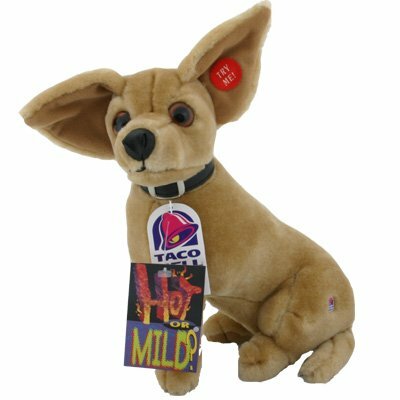 11 Inch Authentic TACO BELL Talking CHIHUAHUA Plush Dog Says: "YO QUIERO TACO BELL"
Secret menus are not limited to fast food chains, many restaurants also offer items not listed in the regular menu. The following are two popular restaurants where you can order special items that are not advertised. 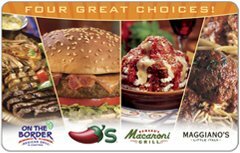 There are over 750 Olive Garden restaurants that offer Italian cuisine in a "home-style" setting. Almost everyone has a favorite Olive Garden dish but not many know about the items not listed on the menu. Chicken Fettuccine Florentine: This favorite was dropped from the menu but you can still order it. Extra Sauce: Order extra sauce with any dish and don’t forget to dip those breadsticks in your extra sauce. 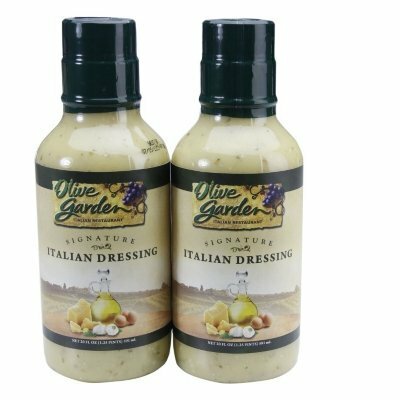 Olive Garden Sampler - Made Just for You: Order the sampler appetizer with whatever you want in it. If you don’t like something tell your server to substitute it with something you do like. Have it your way. Vegetarian Options: Order a dish vegetarian style and ask the server to substitute more pasta, vegetables, and sauce for the meat potion of your meal. The first Red Lobster opened in 1968 and it has become a leader among seafood and casual dining restaurants. Red Lobster is known for many delicious dishes including their famous popcorn shrimp. But they also have special items that many people aren't aware of. 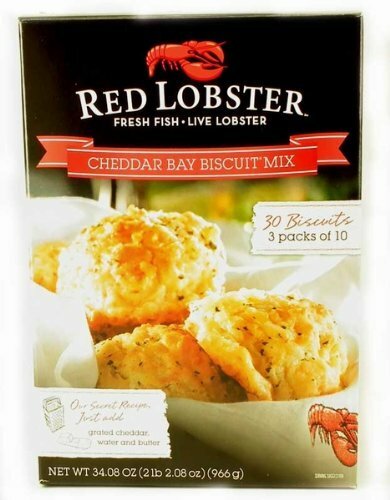 Cheddar Biscuits: As a customer at Red Lobster you are entitled to all the cheddar biscuits you can eat while dining. Don’t be bashful, ask for more or tell your sever that the biscuits are one of the main reasons you chose to eat there, so keep them coming! Fresh Fish: Inquire with the wait staff regarding the fresh fish available. There may be an option not advertised. Gluten-Free: If you must eat a gluten-free diet, advise your server and inquire about substitutions or modifications to their dishes. Olive Oil: You can request olive oil in place of butter used during the cooking process. If you are watching your calories or you are cutting down on butter for health reasons, ask your sever to order your fish cooked in olive oil in place of the butter. Onion Strings Appetizer: Do you love onion strings? Well you might be able to have them at Red Lobster. Onion strings are not listed on the regular menu but they are added to a few of the dishes as a garnish. If you have a craving for these deep fried onions, ask your server if you can order them as an appetizer, and don’t forget to ask for a few of their delicious dipping sauces to add to the enjoyment of the onion strings. Specials: If you enjoyed a particular dish that was offered as a special in the past, you may be able to order it again even if it is no longer advertised. As always, ask your server if your request if available. Although many chains offer secret menu items, many may not. All you can do is inquire with the server, but don’t be surprised if he or she doesn’t know what you’re talking about. If you keep trying, however, you just may find a new item that will become your new favorite meal.